Deer hunting closes when the Cache River gauge at Patterson exceeds 10 feet and reopens when teh gauge falls below 8.5 feet. Nonresidents need a Nonresident 5-day Wildlife Management Area Waterfowl Hunting Permit to hunt waterfowl. See Notes for Access Regulations. Quail Notes: Only Arkansas-approved nontoxic shot may be possessed and used while hunting small game with shotguns. 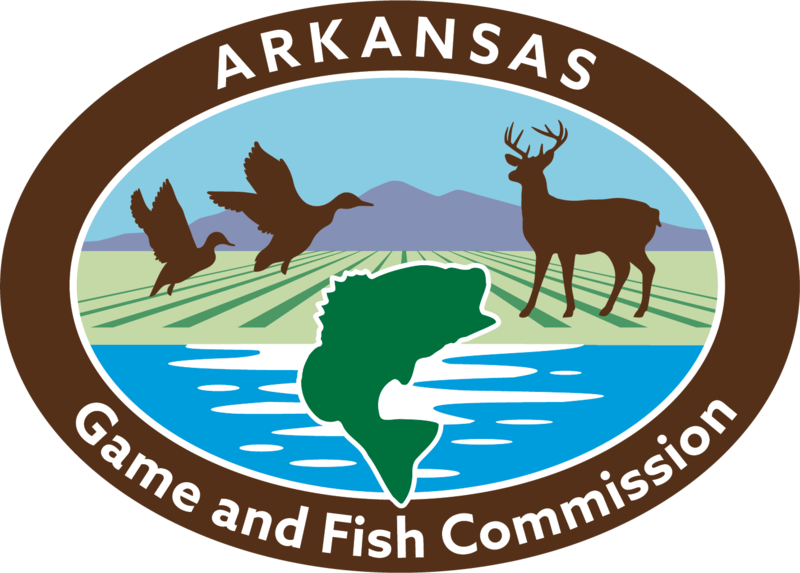 Rabbit Notes: Only Arkansas-approved nontoxic shot may be possessed and used while hunting small game with shotguns. Squirrel Notes: Only Arkansas-approved nontoxic shot may be possessed and used while hunting small game with shotguns. 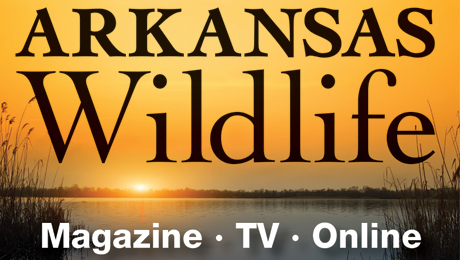 Includes Cache River NWR Unit 2 land within an area bounded by U.S. Highway 64 on north, Ark. Highway 17 on east, Ark. Highway 38 on south and Ark. Highway 33 on west. Firearms Hunt (permit required): April 8-9 and April 13-14, 2019. One legal turkey, no jakes (youths may take one jake as part of their statewide seasonal limit). Turkey Notes: A WMA Turkey Hunt Permit is required to hunt turkeys on this WMA during the permit hunt. Click here for details. It was formerly called Black Swamp. In 1981, the commission changed the name to include Rex Hancock because of his hard work and dedication to saving wetlands along the Cache River corridor. Public access can be obtained by taking state highway 33 from Augusta to Gregory. At Gregory, one will find a WMA highway sign; turn left onto County blacktop road and travel 3 miles. At the end of the blacktop go straight onto the all-weather gravel road which will enter into the WMA. This principal access road ends at a parking and camping area beside the boat ramp, which accesses a boat canal leading to the Cache River. Access can also be gained by driving 1 mile south of Gregory on Hwy.33 to the Hwy. Directional sign Rex Hancock/Black Swamp Float Road Access turn left on gravel road and go east appox.2 miles. This road ends at a camping area and boat ramp, which can be used during high water. The LeBlanc unit can be accessed by going west on hwy. 38 out of Cotton Plant for 3 miles. Turn left at the hwy. directional sign and follow the county road for eight miles to the WMA boundary. The initial purchase was made in 1971 from 3 different owners; approximately 3,888 acres were purchased at this time. In 1983, 1,694 acres of Potlatch land on the south end was purchased by the Natural Heritage Commission, which deeded it to the AGFC. Another 377 acres know as the LeBlanc Unit was purchased in cooperation with Ducks Unlimited and the Nature Conservancy in 1990. In 1995 a 427-acre FmHA tract was deeded to the Commission bringing the total acreage to 6,394, all under AGFC ownership. There are four camping areas located on Rex Hancock. The largest and most used camping area is located at the end of the all-weather road east of Gregory. Camping is primitive. The WMA is mostly low bottomlands and swamps. The Cache River splits the area in the middle. Major hardwood species are Cypress, tupelo, oaks and hickory. Waterfowl is probably the main species hunted on this area but good hunting is dependent on rainfall to flood the Cache River bottomlands. During the right conditions, this WMA is in some of the best duck hunting territory in the state. Non-toxic shot is required. Deer hunting is becoming more and more popular in this area. Archery and crossbow season is the same as statewide. Gun and muzzleloader seasons vary somewhat from the statewide season. Permits are required for muzzleloader and gun deer seasons. Squirrel hunting is generally good along the river and higher ridges. Squirrel populations tend to fluctuate somewhat. Swamp rabbit hunting is fair and dogs are permitted for rabbit hunting. Non-toxic shot is required for all small game hunting. Dove and quail hunting are not popular on the area itself but some fair hunting of these species can be had on lands surrounding the area. Raccoon is the most sought after furbearer on this area. Trapping and hunting with dogs at night are legal and both seasons are the same as statewide. Hunting coyote is not a favorite sport on the area. However, hunters while hunting other species harvest some. Turkey hunting is allowed by permit. Black bear season is closed. This WMA is in Woodruff County 10 miles south of Augusta and 4 miles east of Gregory along the Cache River. At this time, other than food plotting, there are no special management practices being carried out on the WMA. However, in the near future, some forest management practices will begin. Approximately 30 acres of permanent food plots are in the process of being established in perennials such as clovers and perennial rye grass. Approximately 120 acres of the FmHA property has been reforested in hardwood seedlings. Two wetland complexs are being developed to provide approx. 50 acres of habitat for waterfowl and other migratory birds. The Lee LeBlanc Waterfowl Rest Area is closed to access Nov. 1-Feb. 15. No boats allowed from 1 p.m. to 4 a.m., Nov. 17-Jan. 27. Exception 1 - Boats allowed from 1 p.m. until 6:30 p.m., Dec. 1, Jan. 25-27 and Feb. 2. Cache River within the boundaries of the WMA. Gregory Access (County Road 758) to include the ditch to the Cache River. Float Road Access (County Road 752) to include the marked trail to the Cache River. Closed to all access (except in designated campsites, parking areas, boat launch ramps and boat staging areas) from 2 a.m. to 4 a.m., Nov. 17-Jan. 27 and Feb. 2. The area was originally purchased to preserve wetlands along the Cache River and is excellent wintering habitat for waterfowl. Fishing is the favorite activity. Most of the fishing is done with trotlines and the major species sought after are flathead and channel catfish. During the right water conditions, crappie and bass fishing is fair. During the winter months the opportunity does exist for one to see an eagle along the river. The WMA has several stands of virgin cypress and of cypress and tupelo. Most stretches of the Cache within this area are lined with these species, providing an environment which is aesthetically attractive and increasingly unusual. Along with Dagmar WMA, at the lower end of the Cache, the Rex Hancock/Black Swamp WMA provides some of the best opportunities available anywhere to experience this type of river swamp environment. The nearest place for restaurants, motels or supplies is Augusta. The possibility of getting lost is greater during high water times as it is sometimes hard to recognize the main river channel. It is always a good idea to carry a compass on this area. Mosquitoes are always a problem, especially during summer and fall months.